The United Nation has stressed the need for increasing the number of women decision-makers around the globe. The UN Secretary-General Antonio Guterres issued a statement on the occasion of the International Women's Day. In recent decades, we have seen remarkable progress in women’s rights and leadership in some areas. But these gains are far from complete or consistent – and they have already sparked a troubling backlash from entrenched patriarchy. Nationalist, populist and austerity agendas add to gender inequality with policies that curtail women’s rights and cut social services. In some countries, while homicide rates overall are decreasing, femicide rates are rising. In others, we see a rollback of legal protection against domestic violence or female genital mutilation. We know women’s participation makes peace agreements more durable, but even governments that are vocal advocates fail to back their words with action. The use of sexual violence as a tactic in conflict continues to traumatize individuals and entire societies. Against this backdrop, we need to redouble our efforts to protect and promote women’s rights, dignity, and leadership. We must not give ground that has been won over decades and we must push for wholesale, rapid and radical change. This year’s theme for International Women’s Day, “Think Equal, Build Smart, Innovate for Change”, addresses infrastructure, systems, and frameworks that have been constructed largely in line with a male-defined culture. We need to find innovative ways of reimagining and rebuilding our world so that it works for everyone. Women decision-makers in areas like urban design, transport, and public services can increase women’s access, prevent harassment and violence, and improve everyone’s quality of life. This applies equally to the digital future that is already upon us. Innovation and technology reflect the people who make them. The underrepresentation and lack of retention of women in the fields of science, technology, engineering, mathematics, and design should be a cause of concern to all. 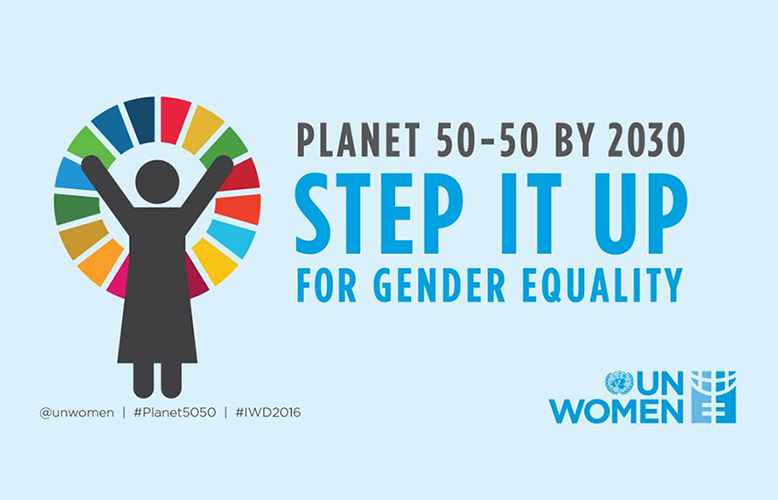 On this International Women’s Day, let’s make sure women and girls can shape the policies, services, and infrastructure that impact all our lives. We can only re-establish trust in institutions, rebuild global solidarity and reap the benefits of diverse perspectives by challenging historic injustices and promoting the rights and dignity of all.